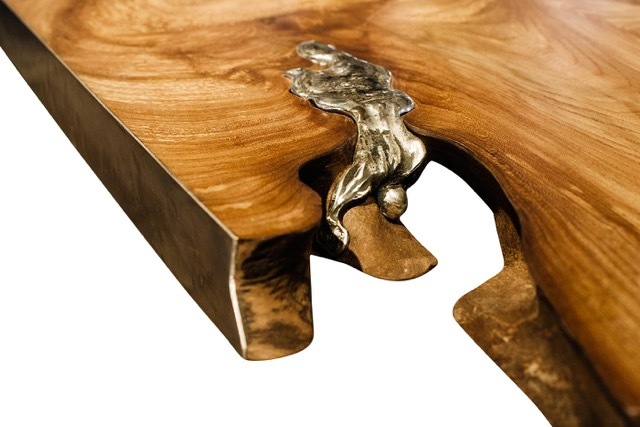 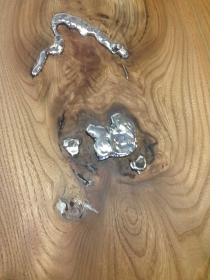 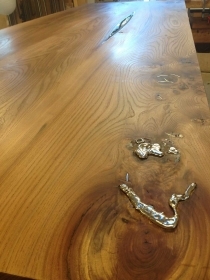 Silver floating in the vein of the wood, forming silver lakes flowing over the table edges. The 2000 years old yew having a personel reference to the private owner of this table. 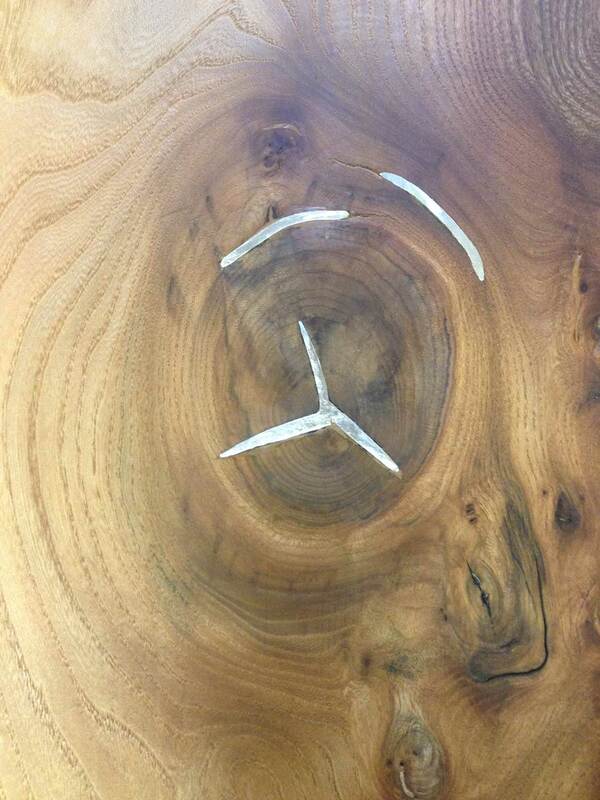 Danish elm, pure silver, 2000 year old yew, frame of iron and braided vegetable-tanned leather. 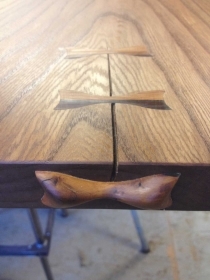 This table has been sold. 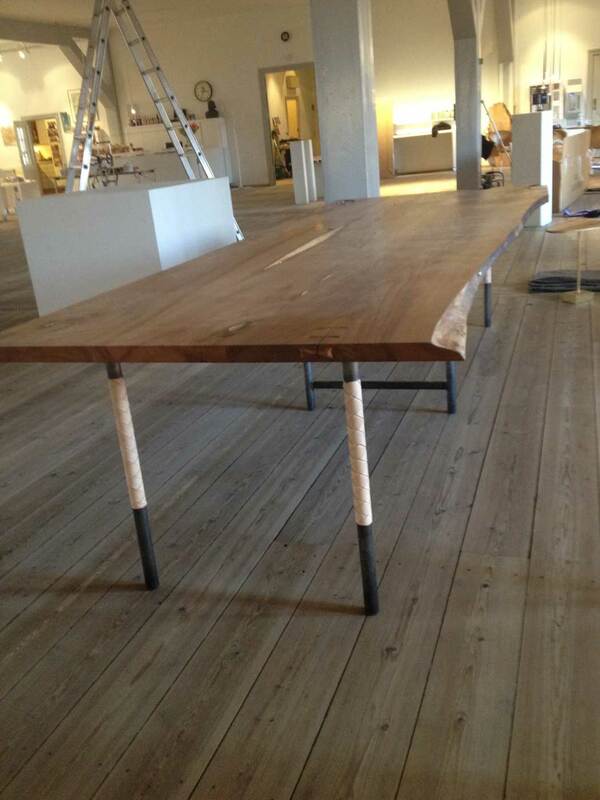 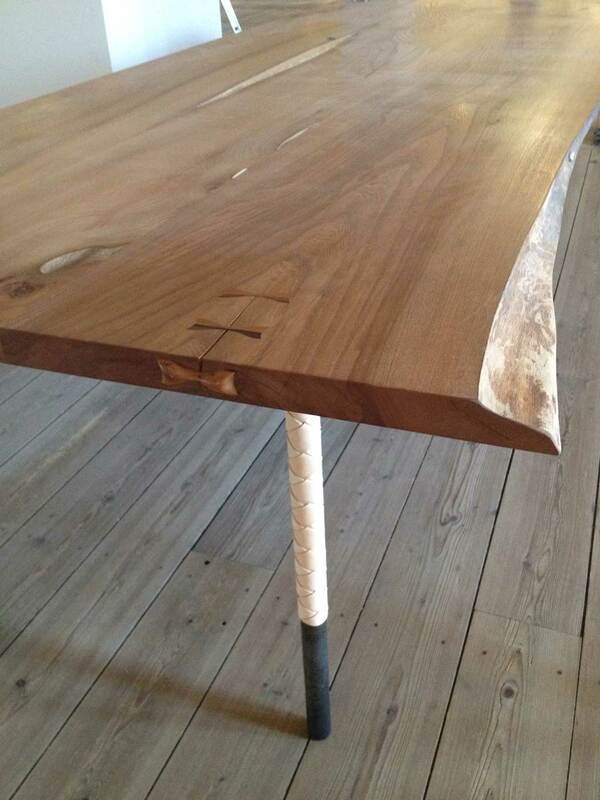 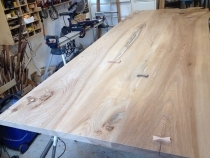 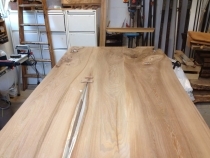 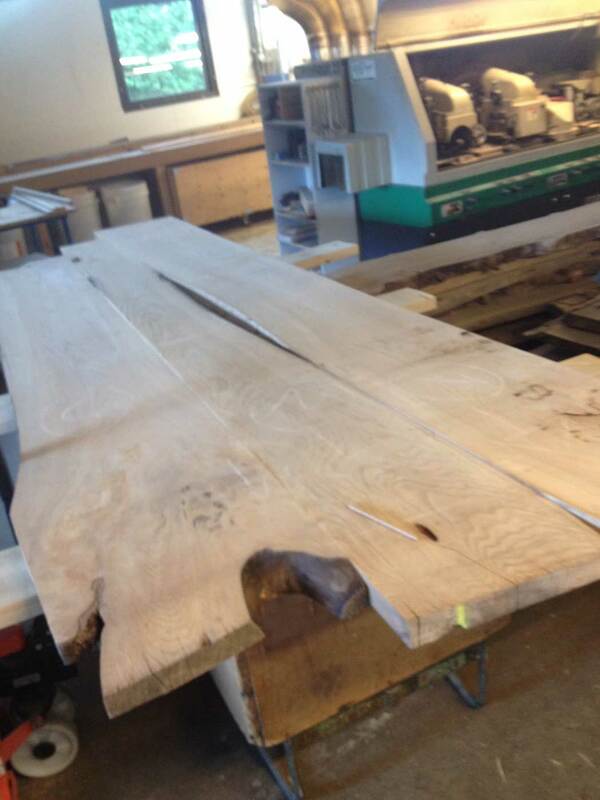 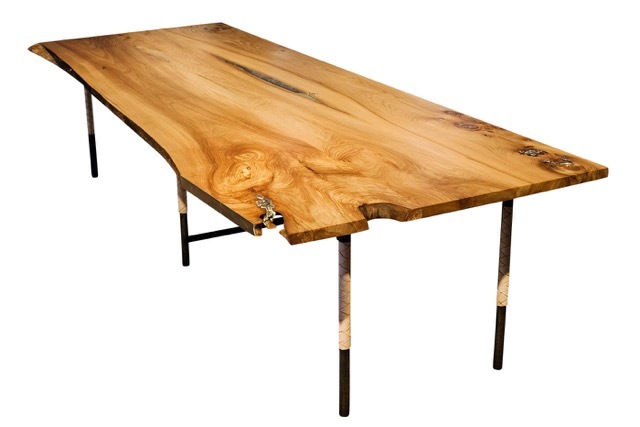 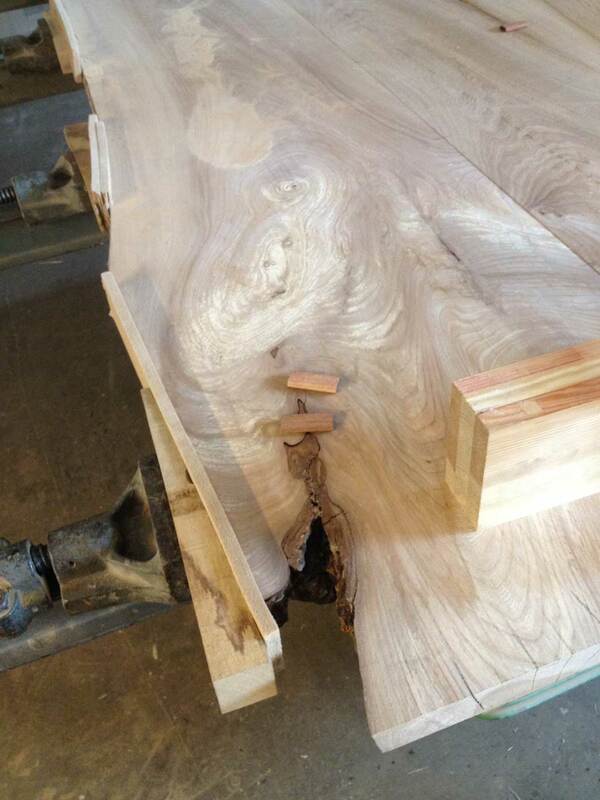 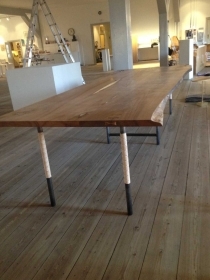 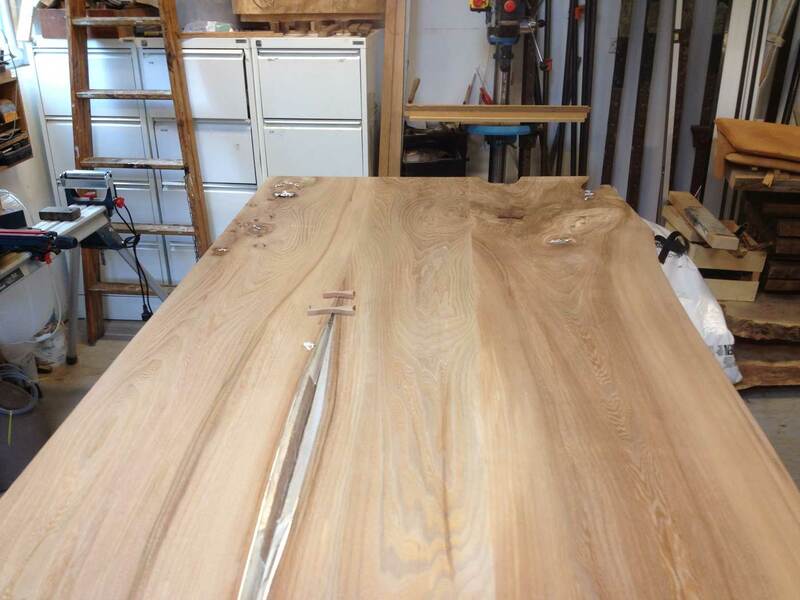 I have similar wood on stock for a table much like this one.